UML activity diagrams can be used as semi-formal specification of logic controller behavior. On the other hand, formal methods applied at any stage of system development allow increasing in the quality of final products. In the chapter use of the model checking technique to validate the specification against some specified requirements is described. 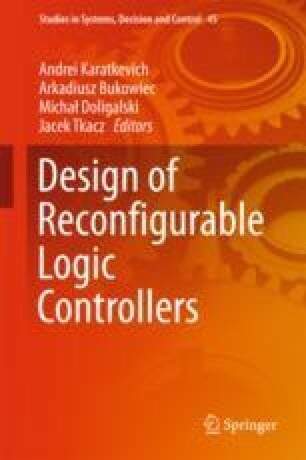 The specification is initially expressed by means of UML activity diagrams and then is transformed to a rule-based logical model suitable both for verification purposes and for logical synthesis for FPGA devices.